Here is the new Keratoconus cartoon. Keratocat and Edvard Munch's painting, The Scream of Nature Keratoconus. 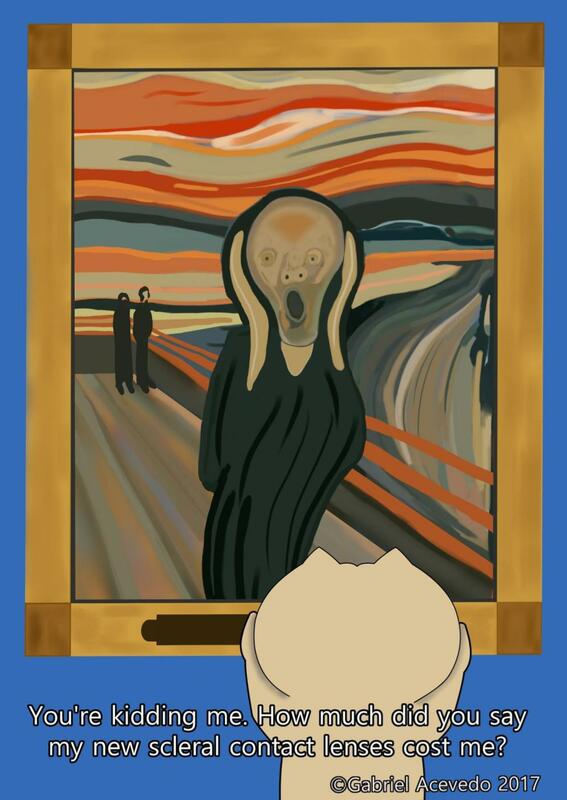 This is the first of a soon-to-be-published series in which Keratocat visits museums. here the idea is to show how expensive Keratoconus treatments are, even if you have health insurance. at the same time I thought about the people with keratoconus in poor countries where there is no efficient private or governmental health system. How many of them can get a consultation with an ophthalmologist? How many of them can get proper treatment? and if they don't get treatment, what quality of life they have or will have?